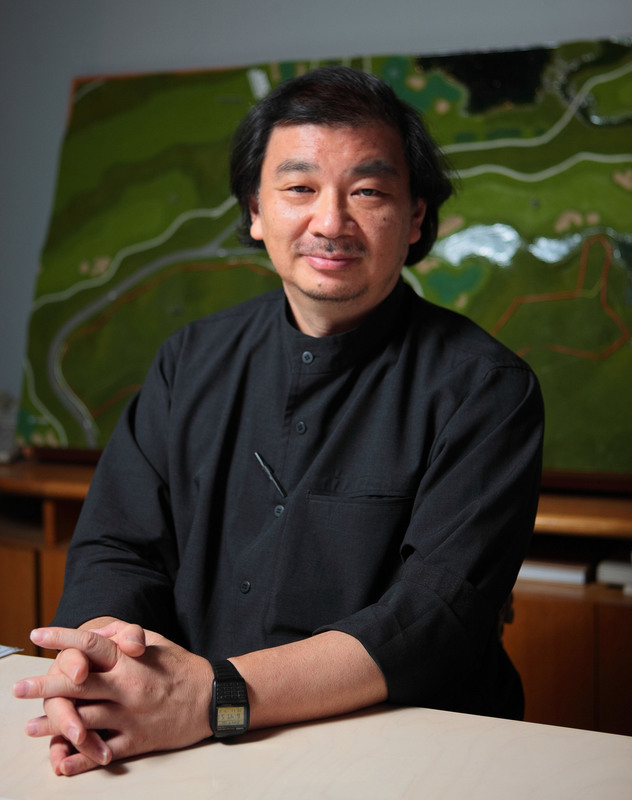 In The Face Of Disaster, Pritzker Winner Shigeru Ban Designs Solutions The winner of this year's architecture prize has designed museums, homes and concert halls. But he's best known for the temporary structures he's built for refugees and evacuees all over the world. 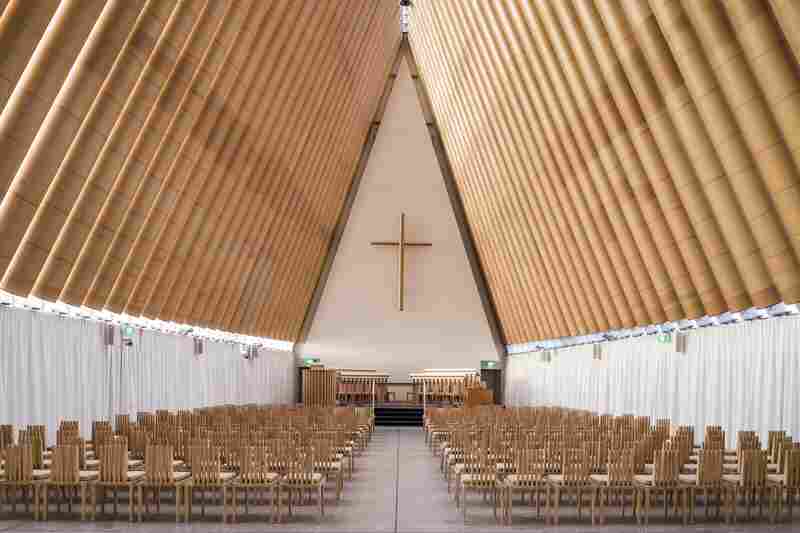 When an earthquake hit Christchurch, New Zealand, in 2011, architect Shigeru Ban created a temporary 700-person cathedral out of paper tubes. Outside the Cardboard Cathedral in Christchurch. 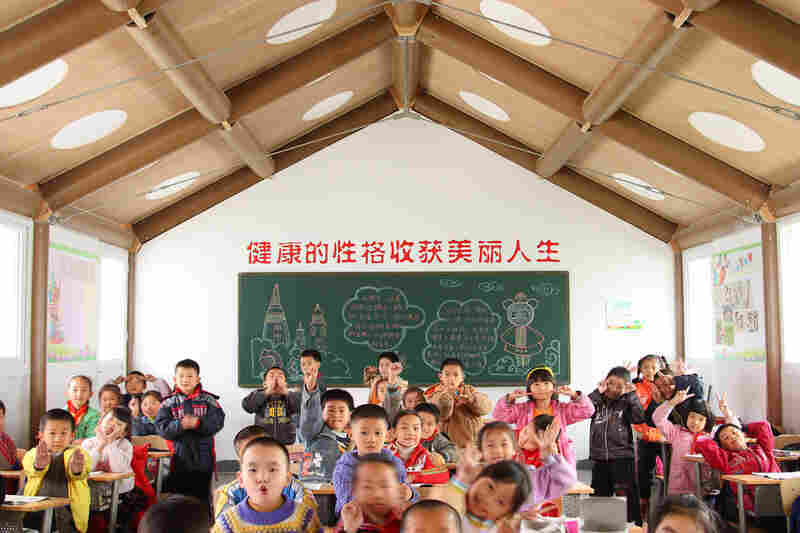 After the Sichuan earthquake in 2008, Ban designed temporary classrooms for schoolchildren in Chengdu, China. 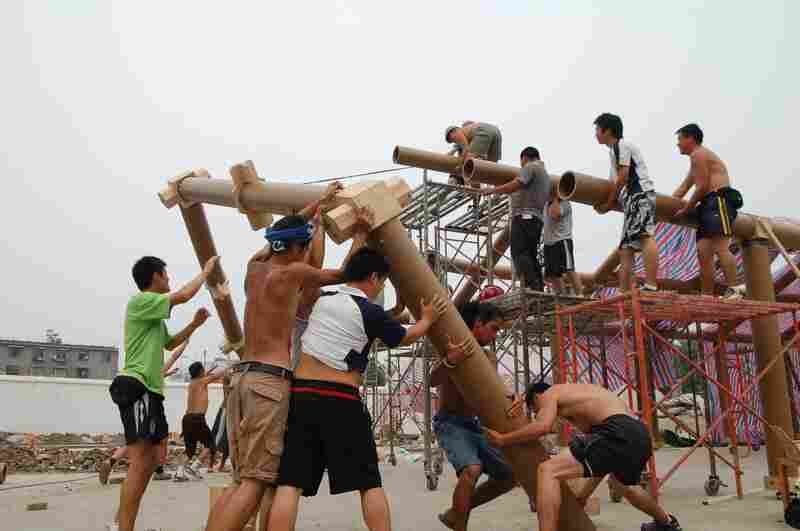 More than 100 Chinese and Japanese volunteers worked to build the structures. Inside Chengdu's temporary Hualin Elementary School. In Bhuj, India, in 2001, Ban used rubble from destroyed buildings as the foundation for his Paper Log Houses. The roof -- made of bamboo ribs, plastic tarpaulin and a woven cane mat —  allowed ventilation for indoor cooking. 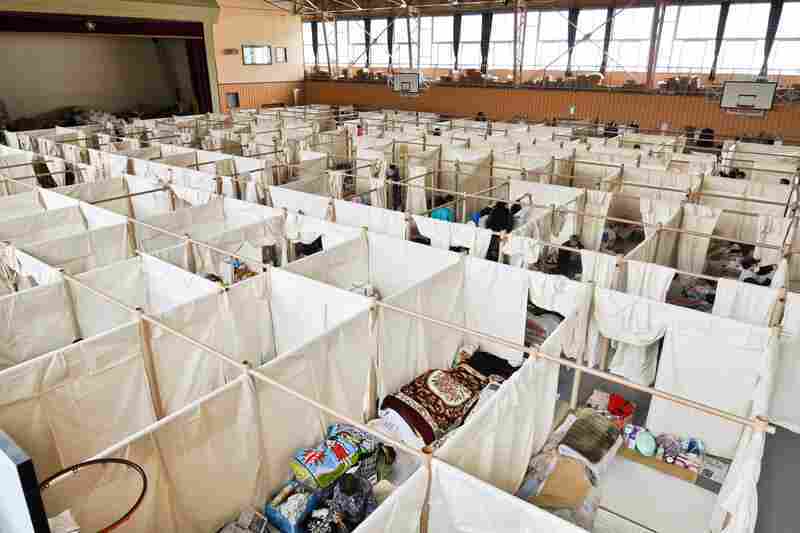 Ban developed a paper partition system — like this one in Japan in 2011 — to give evacuees privacy in crowded shelters. 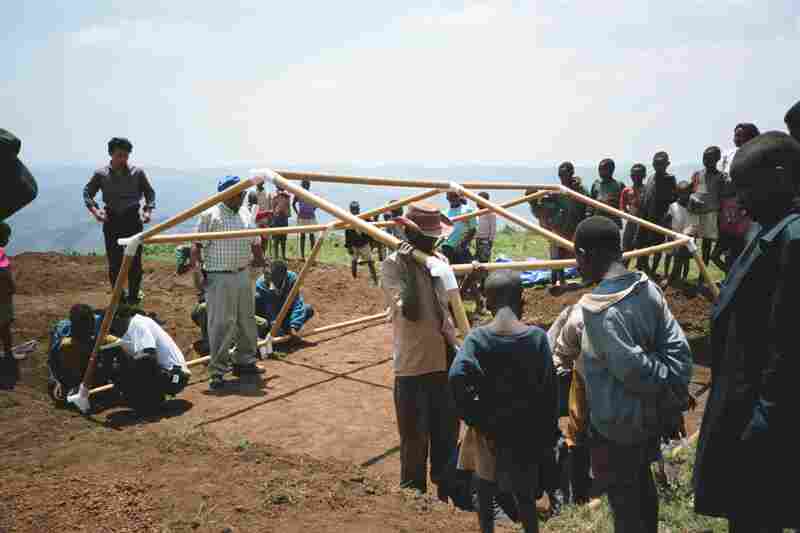 Ban designed temporary shelters for refugees displaced by the civil war in Rwanda in 1994. 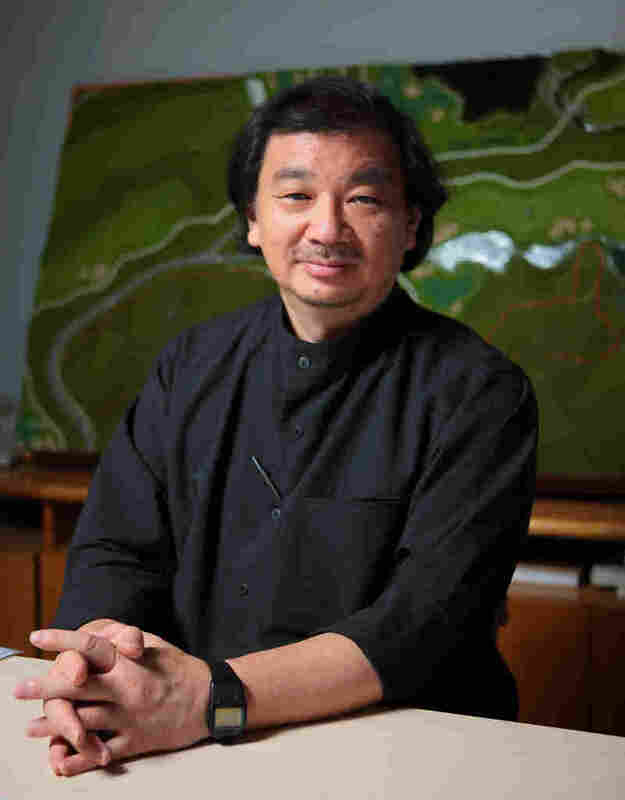 Shigeru Ban was born in Tokyo. After seeing renovations done on his childhood home, he decided that he wanted to become a carpenter. 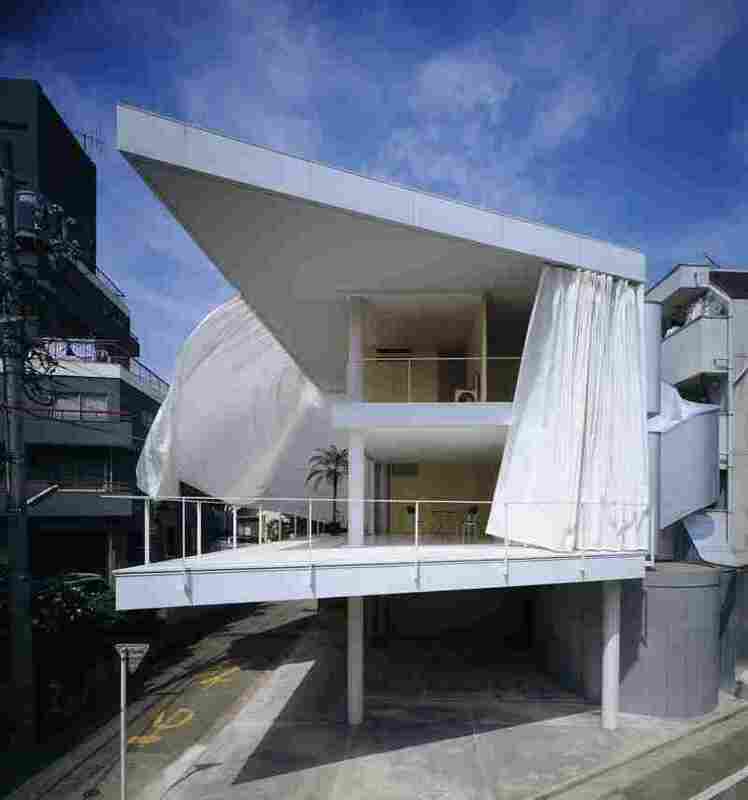 After high school, he studied in the U.S. and then returned to Tokyo and began his own architecture practice in 1985. 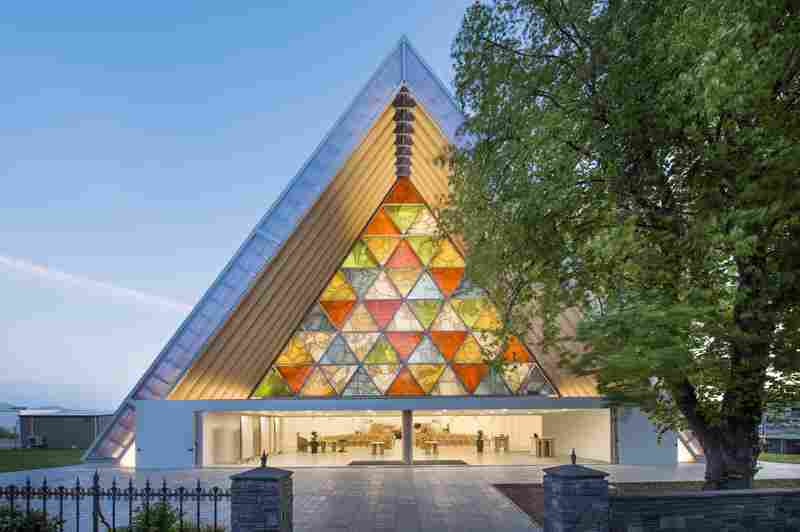 Each year the Pritzker Architecture Prize goes to a star architect with a long list of glamorous commissions around the globe. This year's winner is a little different. Shigeru Ban has designed museums, homes and concert halls. But Ban is best known for a more humble kind of work: The temporary structures he's built for refugees and evacuees all over the world. 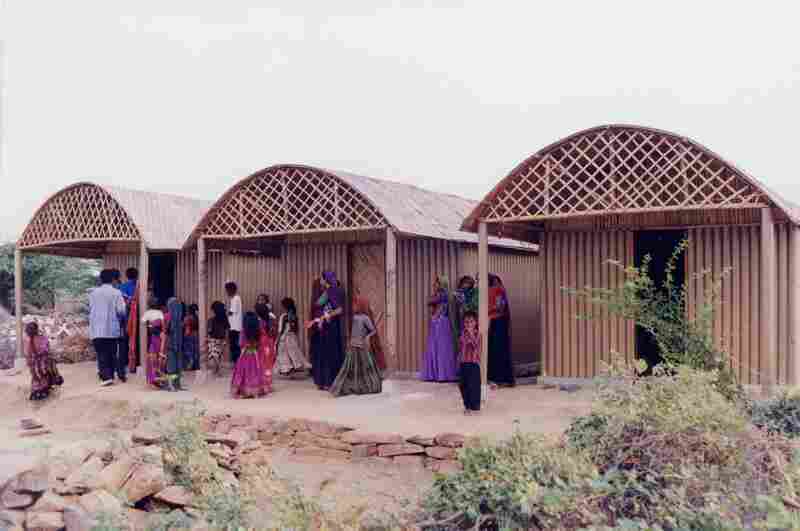 Ban may be the only architect in the world who makes buildings out of paper — cardboard paper tubes, to be precise. "It's very inexpensive. It's made of recycled paper," he says. "We can make any length, any diameter, any thickness." Ban actually tested the strength of cardboard tubes, and says he was surprised by what he discovered. He's used them to build temporary housing for disaster victims in Japan, Haiti, China and elsewhere. Picture a log cabin — except the tubes are arranged vertically instead of horizontally. Ban says paper tubes are cheap and plentiful. And unlike costs for traditional building materials, the price of paper tubes doesn't jump after an earthquake or flood. The Pritzker jury cites the continuity Ban creates between interior and exterior spaces. 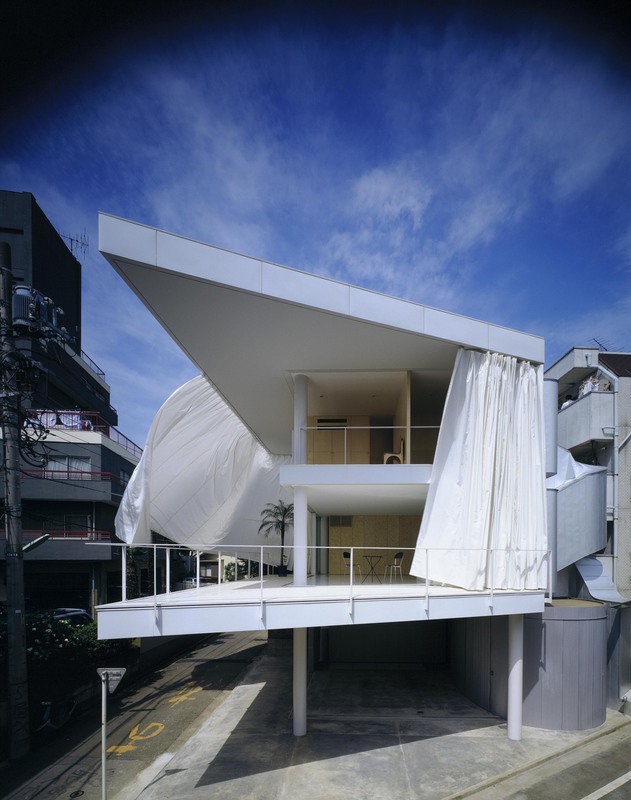 His 1995 Curtain Wall House in Tokyo "uses tent-like movable curtains to easily link interior and exterior, yet provide privacy when needed." "After disaster, the building material is going to be more expensive," Ban explains. "But the paper tube is not building material. We can get this material easily anywhere." The tubes are also lightweight, so you don't need heavy machinery to work with them. Ban started using paper tubes in the 1980s. He had just graduated from architecture school, and he was looking for a cheap substitute for wood. So he started reusing the cardboard tubes that were left over from rolls of paper in his office. Tom Pritzker — chairman of the Hyatt Foundation, which sponsors the Pritzker Architecture Prize — says the thing he loves about Ban is that he works with what's right in front of him. "It's any materials that he spots. He lives his life looking at materials differently than the way you and I do," Pritzker says. "I think Shigeru looks at materials and says, hey, I can recycle that, I can use that in a way that's really needed." Ban was born in Tokyo and studied architecture in the U.S. before moving back to Japan to start his practice. At the time, Ban says he found the profession's focus on rich clients disappointing. He says clients were normally people with money or power. "Because money and power is invisible, they hire us to visualize their power and money by monumental architecture," he says. "I'm not saying I don't want to make a monument. But also, I thought we can use our experience and knowledge for the people who lost their houses by natural disaster." 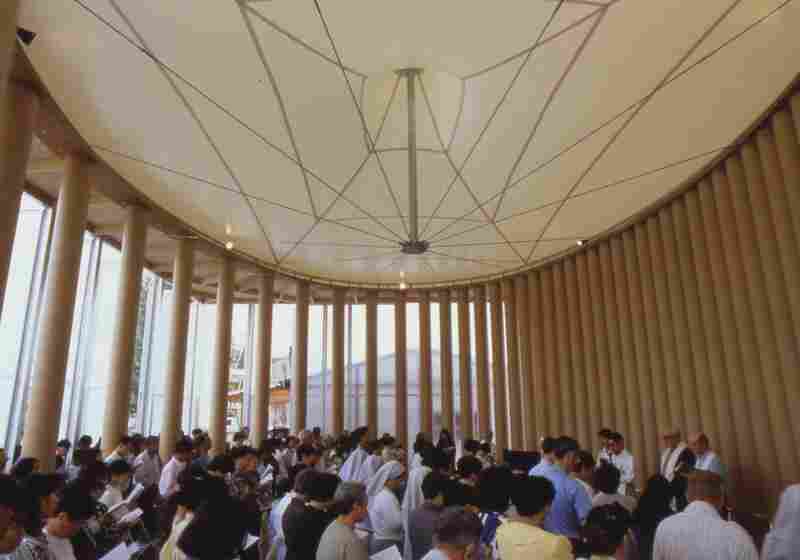 With the help of 160 volunteers, construction of this church in Kobe, Japan, was completed in just five weeks in 1995. The building was moved to Taiwan in 2005, where it's still in use as a community center. Ban says that even if a building is made of paper, it will become permanent if people love it. Temporary housing is supposed to be cheap and easy to build. But it's not always designed with the needs of residents in mind. Los Angeles Times architecture critic Christopher Hawthorne says Ban's work shows it can do both. "There's a sense that when people need the basic necessities of life, that architecture is a kind luxury," Hawthorne says. "But I think his work makes a very different argument. He's not only creating housing in these areas. He's also often creating churches or community centers where people can come together — and come together in a place that's well-designed, that gives them some sense of dignity amid all of the chaos that is surrounding them." 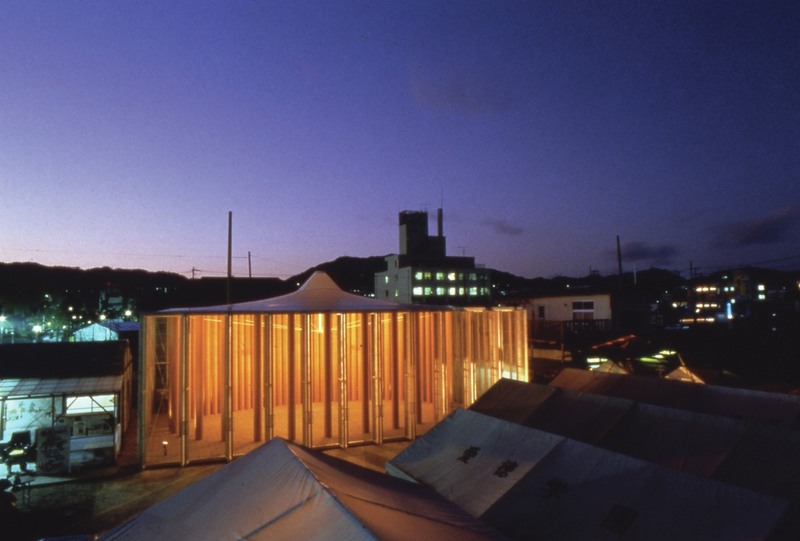 Some of Ban's temporary buildings have become permanent, like the paper church he built after the 1995 earthquake in Kobe, Japan. The cardboard tubes are arranged in an elliptical shape. On one side, the tubes form a continuous wall. One the other, they're more widely spaced, like columns. The building was so revered that it was moved to Taiwan, where it's still in use as a community center. Ban says that even if a building is made of paper, it will become permanent if people love it. And the opposite can also be true: A permanent building can become temporary if it's destroyed by a disaster, or a developer. Even a "building made in concrete can be very temporary," he says. "It's not something the architect can decide, how long buildings last." 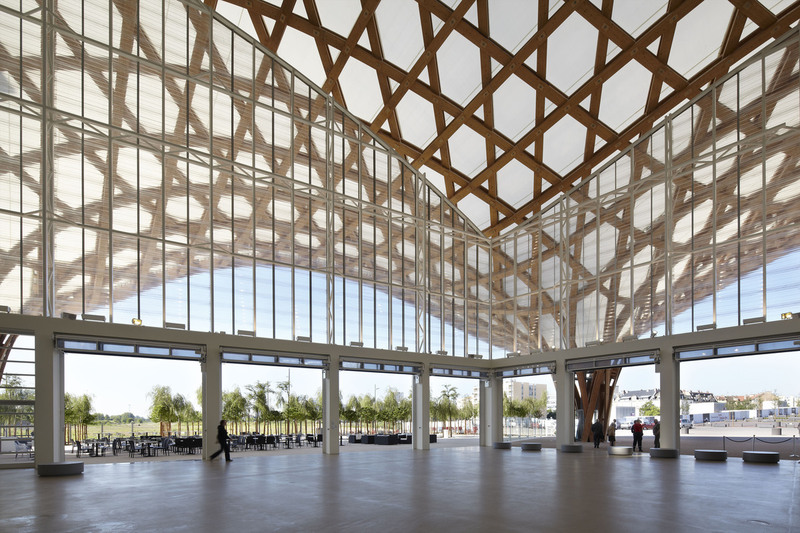 For the Centre Pompidou-Metz in northeast France, Ban designed an undulating, latticework roof. 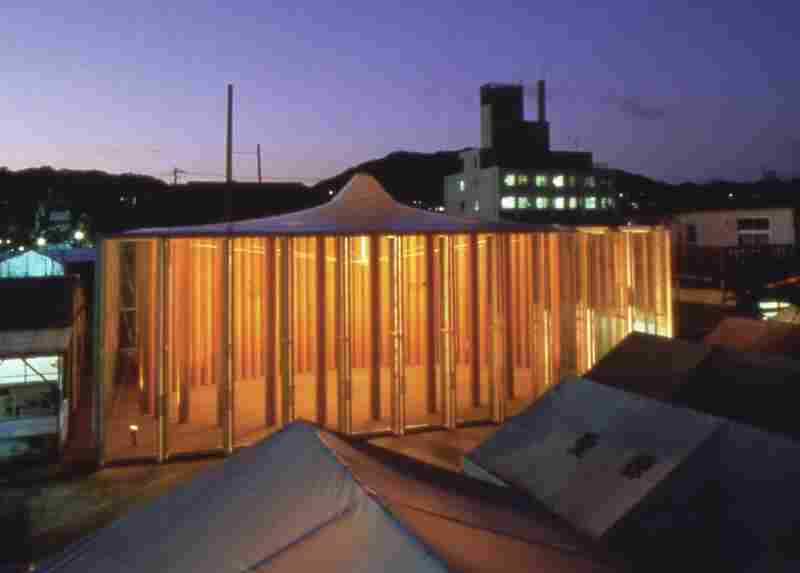 Ban has designed permanent buildings, too — like the Pompidou Center in Metz in northeast France. And elegant, minimalist homes, like condominiums in Manhattan. He has other high-profile commissions underway in Europe and the U.S., including an art museum in Aspen, Colo., that will open later this year. Still, Ban's resume is shorter than that of many past Pritzker winners. But he sees the prize as an encouragement — both for his work with private clients, and in disaster areas. "When I was student, everybody was interested in being star architect, working for developer to make big building," he says. "But it's changing." When Ban gives lectures now, he says the audiences are full of students who want to learn from him.